I went to see the new James bond film as soon as it was released. 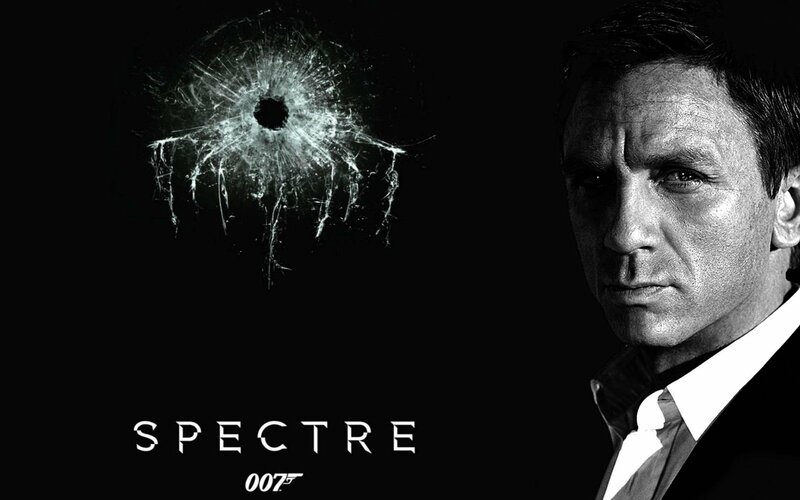 If you’ve been living under a rock, then its called ‘Spectre’ and I’ll be honest, I was a little disappointed. Some were heralding it as the best bond yet but, I wasn’t convinced. So I decided to think about why. I realised it’s because it was predictable. And not in a good cheesy actiony Bond type way. In an, I actually know exactly what’s going to happen kind of way. For me, it comes down to foreshadowing and the little breadcrumbs storytellers leave for us in order to prep and build us up for the ending they planned, which should… if they have primed well enough, leave us satisfied. WARNING – if you haven’t seen the film and don’t want any spoilers don’t read on. The whole point of foreshadowing is doing it early. Priming the reader or watcher before they even know what the story is about. That sets them up to accept your ending without them even realising. You’re telling their subconscious what your going to do, whilst keeping their conscious mind in the dark. That’s exactly what Bond does. A seemingly inoffensive and ambiguous juxtaposed phrase. But actually it’s a clue to the entire film. The ultimate bad guy is someone close to bond who was meant to be dead all along. So this priming makes total sense. It’s a breadcrumb. But the creators go one step further and leave another breadcrumb for you before the film even starts. 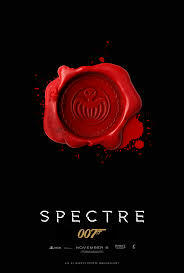 The film title – Spectre. Spectres another word for ghost – or a kind of alive, dead person… They get a big tick in the priming box for prepping us nice and early. The lesson I learnt here? It’s never too early to prime. Even the title of a book or film isn’t too early. The locket they found in sirius’s house in book five which ends up being a horcrux in book six. 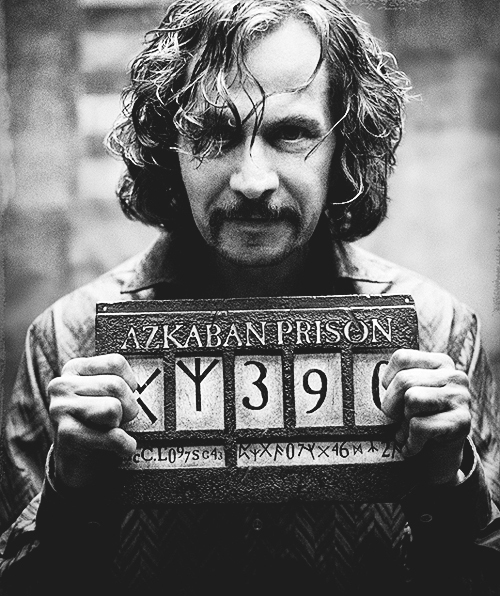 Sirius Black – Remember the motorbike Hagrid rides in chapter one of the first ever book? Yeah – he tells Dumbledore it’s borrowed from young Mr. Black – a character we dismiss as irrelevant – until we get to book three…. BOOM. These breadcrumbs are minuscule, but they are purposeful. Expertly laid out to our subconscious and inconspicuous enough that our conscious minds don’t pick up on them as clues the time. Which means when the big reveal happens we get mind blown wondering how we never saw it coming. This is essential. Clever clogs who are paying attention to the detail and looking out for clues to the ending will actively pick up on foreshadowing. You need to misdirect them enough that they are put off the scent but not so much they disbelieve your ending. The example in Spectre, which for me wasn’t quite enough, was the opening scene. 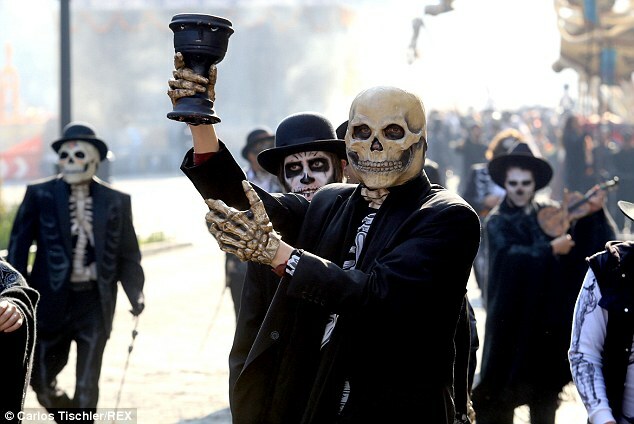 The opening phrase ‘the dead are alive…’ rolls into onto screen and then is replaced by a scene of the Mexican festival Dia de Muertos a festival for the dead. Knocking us completely off track making us think thats what they meant by the dead are alive. In Harry Potter, JK Rowlings biggest method for misdirection is the time lag between her dropping the breadcrumb and then actually revealing its use – usually long enough for us to just forget about it so she can yank it back into the story in the nick of time. It might sound obvious, but… if you are going to lay down breadcrumbs you actually need to use them. If you don’t the subconscious has an uncanny habit of making your conscious mind feel like strings have been left untied. The result? Readers feel like your story is unfinished. It’s worth making a note of every breadcrumb you leave as you go, I put them in my editing map. K.M Weiland has an excellent post on this, I urge you to go read it: Did You Know “Show vs. Tell” Matters in Foreshadowing Too? It wast until I was researching for this post and I read hers that I discovered the other reason why the foreshadowing in Bond didn’t work for me. The guy that’s the architect for all Bond’s pain (Franz Oberhauser), is the kid of the man who took Bond into his family and effectively adopted him. How do we find this out? Well, aside from the one photo were shown bits and pieces of throughout the film, we’re told, by Franz himself when he admits to killing his own father, and Bond’s adoptive father. I shrugged and was like, yeah…and? I wasn’t emotionally invested. I found myself asking why this wasn’t set up more in Skyfall? It didn’t need to be much because we learn bits about his childhood in the film, a simple reference to Oberhauser would have been enough – perhaps if I watch the films back to back I might find it. But even so, there wasn’t enough back story in Spectre showing me how Bond felt about his father or Franz for that matter and certainly not enough for me to feel Bond’s pain at the loss of his adoptive father. A characters apprehension – that gnarling sensation in the pit of their stomach – they know somethings wrong but they don’t know what. A characters concern – a mother telling a child to be safe because the boogey monster might get them, and the child waving the mother off with those fateful words ‘I’ll be fine’. I read a lot of writing advice that says don’t do a prologue, but actually a purposeful one can be incredibly useful, it also has the same effect as JK uses – its misdirection is in the art of you forgetting the early things you read as its so long till the reveal. You could literally show a loaded gun in a draw or on a table – seems insignificant at the time, until later its the gun that kills the villain, or wounds the protagonist. But it doesn’t need to be a gun. It could be drugs, poison, a weapon, or even a character like Sirius in the first chapter – as long as they seem insignificant at the time, they will expertly sneak into your readers subconscious read to give the wow factor. Loaded guns can also be missing – Maybe you checked a draw and the gun was missing, or your asthma inhaler was missing right before a marathon run. As I approached my childhood home my stomach furled into knots. I told myself if was just hunger because I’d missed breakfast. But as that familiar acrid scent drifted across the street the memories I’d been suppressing for so long began to surface. Similar to prologues in the sense they usually come early in a book or book series. The word of warning here is not to use them as a tool to just fix your ending this can lead to cheesy cliches Your prophecy needs a purpose and to be integrated as part of the world you have created. It needs to be believable and credible and therefore have a justifiable reason for existing. Pathetic fallacy – i.e. playing with the weather – you know, when it like gets all dark and cold and thundery, and you’re all like shiiiiit summat baaads about to happen?! Warnings, advice, black cats, metaphors, similes, any literary tool you use to describe one thing but really mean another can be used to symbolise or foreshadow something else. The white dove that flies past at the end of a battle scene, beauty and the beast’s red rose – red and roses representing love and the falling petals foreshadowing the impending doom of staying as beast forever. So whilst bond used the right foreshadowing techniques, it failed to impressed me as they were too easy for me to pick up. Or maybe it’s because I know the techniques so was looking for them? What do you think? Do you know these techniques? Does it ruin films for you? What are your favourite examples of foreshadowing? What tips and techniques can you share for effectively foreshadowing? Let me know in the comments below. Are you saying the foreshadowing in Bond was too easy and too obvious to be any good? Or just not there? I’m not a fan of Bond movies in any case. To me they’re all about the action and special effects and cars and tech so they don’t rely too heavily on actually having a decent storyline. So it doesn’t surprise me you were disappointed. Yes the foreshadowing was way too obvious – for me anyway – they used the right techniques sort of but it didn’t work. But maybe that’s because I know bond films? Hmm maybe this post needs a tweak if that didn’t come out! Lol… it was possible just me not reading properly while trying to feed Carys and cope with a sick son! I completely agree about the and film. I thought Skyfall was terrific–and BTW held plenty of potential foreshadowing–but I found Spectre predictable and derivative. Thanks Barb, completely agree about Skyfall’s potential – I felt unnecessarily irate about the fact they missed the opportunity at the end of Spectre! I have to say I liked the latest Bond movie, but as you say it was foreshadowing which took a lot of the thrilling effect. Most of all after seeing Skyfall which was one of the best (if not THE best) movies ever! Actually, my wife liked it too Erika, I am sure many others did too. I liked Skyfall much more than Spectre, but that is the joy of the world, everyone likes different things 😀 hope I didn’t ruin spectre for you by writing this post! No, not at all, Sacha. Actually you made me see what it was that confused me a little about it. But overall I liked it. As you say “Skyfall” was for sure ways better! Lovely post Sacha. I too didn’t enjoy Spectre mostly for the reasons you give st the end, like really? Is that it? I try and sprinkle my books with teasers and make sure that all important characters appear or are referred to often enough not to reappear after 150 pages and confuse my readers. I also include obvious clues so the reader thinks aha I know what’s coming but then twist the reveal so the obvious hides a deeper truth. And you do it rather well, Mr Le Pard! Yes thats a jolly good point actually, thank you – we should include obvious clues – nothing better than a bit of misdirection. One of the major criticisms on my MA of my novel was just that: introducing a character and then failing to mention them again for several chapters. Same for plot points. Drives the one off reader bonkers because they can’t remember who us who without some sort of clue. Which novel were they looking at? Dead flies. Some characters – Harry’s great aunt, his sister’s boyfriend Jim, his on off girlfriend Ruth and his nemesis McNoble come and go and given the complex structure it became important to keep them ever appearing of being mentioned. Well, I gobbled this blog post up. Thanks for writing! I’m working on a prologue (without calling it a prologue) to open up my story up to some of the main themes in my story. I heart your comment about considering these breadcrumbs seriously (à la JK Rowling) when you’re working on a series. I’ll be linking to this blogpost to write a follow up on my experience with this. Great post!! aww thank you for the future link, I hope these work for you. It felt like an epiphany that JK thing. I mean can you imagine how much for thought that must have taken? It’s making me seriously question whether I should write the whole series before publishing so that I can go back and add things in, you know?! Thanks, Sacha. A very useful post. I agree with the earlier comments – great post. I don’t like that awful let-down feeling with a movie that promises a lot and delivers little. I am not a fan of James Bond either. I usually find them too far-fetched. Der, it is fiction. But I don’t find it believable fiction. Maybe for some of the reasons you describe. While I have experienced the issues you raise I haven’t thought to be so methodical in appraising them, so well done. I love your opening image with the 6 in the gun handle. How did you manage to find that to fit? Or did you fit your 6 things to match the image? Thank you Norah, that means a lot. I hate that feeling with books too. Interesting that you don’t like it because it is unbelievable. Does that mean you don’t like fantasy stories too? Actually the image was blank – just the circle and the red and grey swirl. The 6 I created by downloading a ‘james bond’ themed font and installing in. Then just plopped it in the circle! I’m not into fantasy generally, though I have read some I enjoy. I think what is important is that events are believable in the world in which they occur. That doesn’t mean that they have to be believable in our world, but if the setting is our world, then they must be believable in it. When writers create a fantasy world they must ensure it is consistent and believable, within that world. The Narnia books are great for that. What is your fave genre? I agree Norah, I think the believability of events comes from the credibility and depth of character more than anything… more than the world itself. But obviously that goes to help too. Narnia is a fab example. LOVED Narnia as a kid. Thank you – I was kind of impressed with myself too!! hahahaha, never installed a font before! Learn something every day. That learning everyday is what keeps us going, isn’t it? I can’t imagine life without it. Exactly Norah. I adore learning and like you read a plethora of genres. I guess I was asking about your fave – and that too was probably a silly question as I have a lot of faves!! I have heard of Alexander McCall I think. Did realising you don’t read a lot of the 35 genres make you want to read some or did it just solidify that you do have a fave genre? I am trying to read more non fic these days in book format so that I go more in-depth in topics – I just don’t have much time to read. Always writing!! Wow. Informative post, Sacha. It reminds me of what a delicate balance foreshadowing is. I don’t like endings that seem to come out of the blue, but I’m equally disappointed when I know the ending at the beginning. What makes it even more complicated is that as writers, we already know what’s going to happen in our stories and somehow have to “read” the narrative as if we don’t. Or how else do we apply the clues in the appropriate doses. I find that this is a critical function of the first draft, the only time when the story is still fresh to us. Thought provoking post! Thank you 🙂 I agree completely I hate endings that come out of the blue and the ones that are patently obvious. Do you know I had never thought of it like that, but it’s so true – I guess thats why it is so hard for us to edit our own work. Thanks for the lovely comment. An excellent post. You’re soooo good at these. Really useful and thought-provoking. Brilliant, Sacha! I’ve been pondering my own post about Spectre. It wouldn’t be quite the rant I had about Man From UNCLE, but I do have some complaints, and there was definitely a sense of “So what?” about quite a lot of it. Some very good points made there. Personally I’m a big fan of prologues. I think of them as the pre-title sequences – though more effective than most of the Bonds. Great post – should be read by many! I haven’t seen man from uncle – what sort of film is it? Yeah I guess you’re right, a prologue is like the bit of a film or TV show before the first credits roll. Good point that, I hadn’t thought about it like that. No spoilers in there, but it’s fair to say I was disappointed. I suppose it depends very much on whether you saw the original or not. Glad you like the comparison with the pre-title sequence. It’s how I’ve viewed the prologue for quite a few years. For that reason, I suspect I’ll always use one. Anyone who knows me well will be aware that I like a Bond movie. Some would say I’ve been obsessed at times. With SPECTRE, I was expecting great things, but it seems I wasn’t the only one who was disappointed. 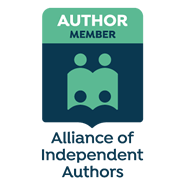 I’ll undoubtedly have a more protracted moan about it at some point, but Sacha Black has clearly taken it as a wonderful learning experience and shares her thoughts here for other writers. I don’t reblog often, so get a pen and paper and start making notes…. Thanks Graeme really do appreciate the share. I’m not a fan of Bond, or thrillers in general. I can never follow the plot. It says more about me than the films. This Bond I enjoyed, exactly because I didn’t get lost, knew what was happening and didn’t even notice the breadcrumbs you mention, so everything was a total surprise. If you’re going to take it to task for not being credible, I found Skyfall just as incredible and I lost the plot half-way through the intro. Again, spy thrillers don’t do it for me. Interesting. I sort of like those mindless action films for that exact reason – they are mindless and I don’t have to think or follow. Possibly that also means I am wasting my time watching them, when i could be being more productive or watching something with a bit of quality….but…. meh *guilty pleasures* are there for a reason. Interesting- I wish I had thought to write a post about sky fall at the time, I am not sure I can do it with the same fresh eyes watching it for a second time. sigh. hindsight. If I can follow the plot I generally enjoy the film. Usually get lost in some daft detail though. Thanks Debbie. haha Sean was hot stuff back then and I still love his voice! I’m not a Bond fan and will only watch the movie when it comes to our TV screens. I often find the plot lines and it’s stories too confusing and often end up losing the plot quite quickly. Like Ali says, for me, the reason why I watch the Bond movies is for all the action, special effects and that opening scene which I know is always going to be one of the best parts of the movie. You’ve given some great writing tips here, Sacha. Certainly a lot to chew on and think about. In my short stories I always try to put the reader off ever knowing how the story is going to end. However, the problem I am now finding is that my readers kind of know that is where I am going to take them. Interesting Hugh, you’re not the only person to say that they lose the plot with Bond films. Jane said it too. I see what you mean though they do make the mystery bit ridiculous to the point of not being able to follow it – But I agree – I love a bit of mindless action for that very reason – its mindless and I don’t need to pay attention just enjoy the big bangs! Why thank you. I wonder if you’ll be able to predict the ending of my next short story? I’ve got two more Christmas themed shorts stories coming up. I’m going to rewrite the last one based on your great tips in this post. I am a massive, massive Bond fan and I, too, was underwhelmed by Spectre. Several things came into play for me, but I will comment specifically on your thoughts regarding foreshadowing. 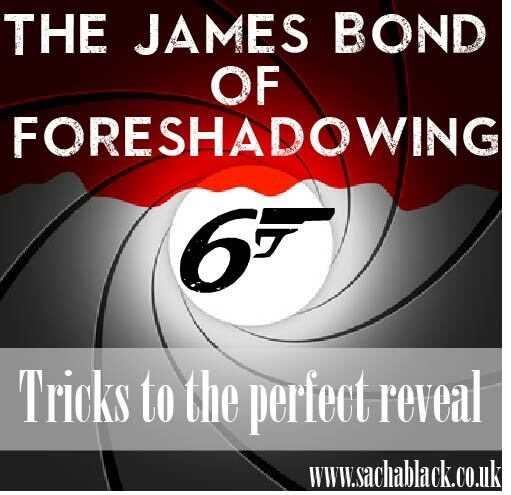 It was much too easy to see where the film was going, and I don’t mean in the standard “Evil guy attempts to take over the world, Bond thwarts him in the last five minutes” kind of way. This movie, at its very root, was just a rehash of Skyfall. Both were about revenge. Both were personally connected to a protagonist (Silva to M, Blofeld to Bond). Both were stories of how these two men felt wronged, and how they would make their “oppressors” suffer. So why did Skyfall work so brilliantly and Spectre fail? The big thing for me was the reveal of Silva’s motivations so early. We knew why he was doing the things he did, and it gave other characters opportunities to fill in the back story as the movie continued. The breadcrumbs in this case were the developments of the villain. What did we get with Blofeld? A massive info dump right near the end of all the connections and history between Blofeld and Bond. Who cared by that point? The foreshadowing happened, as you said, right at the beginning, but then… not much after that. Once we saw the photo, the rest was just Bond chasing the villain. I think they made a mistake in using the line “architect of all your pain”, because what foreshadowing did the previous movies give to support that claim? I know it would be impossible to ask that we’d be given glimpses of Christoph Waltz in the previous movies, but give us something to plant that seed, something that we’d look back on while rewatching Casino Royale and say, “I didn’t even know at the time how important that would be later!” The filmmakers told us how manipulative Blofeld was, but they never showed us. Spectre was a lot- a lot- of telling instead of showing. I will say one thing in the filmmakers defence- we all knew it was Blofeld before the movie was even released. No amount of denial by Christoph Waltz was going to make people think otherwise. There was no way they were calling the movie “Spectre” (which is really S.P.E.C.T.R.E) and not introduce Blofeld. No way. So any attempt they might have made at foreshadowing was all for naught anyway. Really a no-win situation for a screen writer, I think. Hey there, thank you for such a lovely response. Yes I agree about the rehash, such as shame really and particularly because it was a rehash they should have written more clues in skyfall. It’s not like they didn’t know spectre was coming. I am not as big a fan of bond as you I don’t think, but I do like it and have seen most of the films more than once, certainly the newer ones anyway. I agree about the architect line too. they made it a kind of tag line for the movie and EVERYONE knew it before they had even seen the film, which means it had to be a big one, and built up to. Ahh…prologue. I’ve read that too Sacha, on both counts: try not to use them on the one hand, on the other, they can be a great way to bring in background, if not too much of course. I read the same about dreams. Do not write a dream sequence to show background. I set out my memoir beginning with a prologue that happened to also be a dream. Ha! So there goes that idea then! Seriously though, foreshadowing is a great way to give hints of what is to come, keeping the reader engaged. I haven’t watched any of the latest Bond films, not a huge fan. I preferred Austin Powers, lol 😀 Again, you share some great writing advice. I like the way you brought in JK and the HP books. It’s great when you have that ‘Aha’ moment when something makes sense at last. Usually though I drive my family mad asking too many questions, ha! Yeah it’s annoying isn’t it – so much contradictory advice it winds me up. These days I read, and make my own mind up. Or at least I try to… can’t help but read some writing advice. lol. Rules are for breaking! !